Flightbuddy is a customer services communications platform that automatically alerts passengers of flight delays, cancellations or diversions in multiple languages via SMS and email. Cloud based, it uses real-time flight data easily integrating with the booking system. Flightbuddy is secure reliable and scaled for mass disruptions. Flightbuddy doesn’t just inform passengers with timely accurate disruption information, ground operations, air and cabin crew and the team in flight operations need to be armed with the same information to coordinate and avoid conflicting messages. Using SMS, Email and mobile dashboards, the whole team is equipped with accurate delay information ‘in the hand’ allowing them to organise, react and serve the passenger seamlessly. Flightbuddy automatically identifies the passengers that are required by EU261 to be notfied allowing service staff to focus on other tasks. Flightbuddy not only alerts relevant passengers, it also stores all logs and alerts by passenger to support your case. Easily pull back lists of passengers to issue proactive information on security or transport delays, snap strikes or weather disruptions. Automatically alert duty managers and handlers at affected airports ensuring your passengers receive a better service. 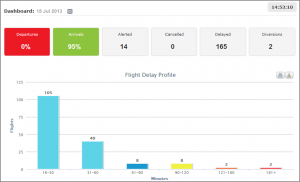 The Flightbuddy Mobile Dashboard displays exactly how the delay profile looks on a given day. Accessible from mobile devices staff at any airport can drill down and understand the nature of the delays affecting them allowing them to mobilise and organise. Available in tablet and big screen formats. Flightbuddy can send SMS, email or both simultaneously to the passenger in their language in which they booked ensuring the passenger receives time sensitive information promptly but also has a record in their email inbox with refund or rebook links. You can also add a personalised insurance declaration letter attached as a PDF. Send personalised emails and PDF attachments. Flightbuddy supports multilingual SMS and email templates, these can be stored in a template library for reuse or assigned to the automated campaigns, airline service staff can create and modify easily and design HTML rich content emails for branded communications. Store SMS and email templates in the library reuse. Staff can view the flight status details of all delayed or cancelled flights without the need to go to a separate flight management system. 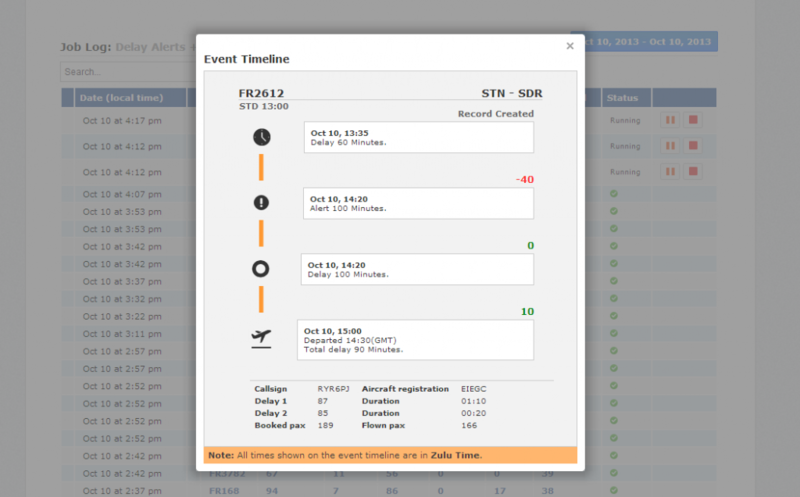 Review the flight event timeline and instantly understand how the delay on a specific flight progressed, any communications issued to passengers by flightbuddy, the reason for the delay. Flightbuddy archives flight records for each day allow staff to easily search for a specific flight. 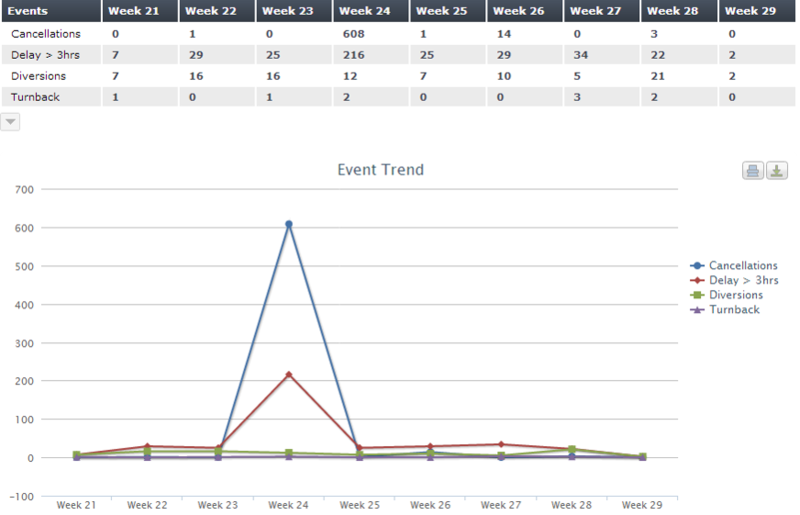 The reports section charts events over time highlighting exceptional events and showing the trend over time. Download the charts for management reporting or export the table to excel for further analysis. Flightbuddy also supports specialist micro websites for staff excellence and special baggage requests, maintaining a web log of submissions. Send alerts to duty managers and service handlers 10 minutes in advance of the passenger alerts at affected airports allowing them to prepare and manage a disruption. Allows them prepare a response to the disruption.